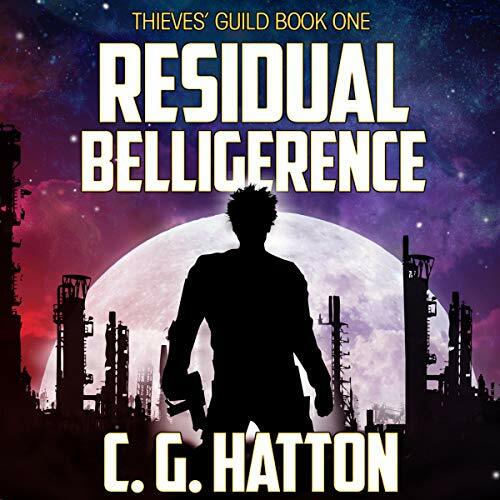 Download Torrent "Thieves' Guild, Book 1: Residual Belligerence - C. G. Hatton - 2019 (Sci-Fi..."
Drop straight into the high-tech Thieves' Guild universe of galactic war, knife-edge intrigue, alien invasion, thieves, assassins, bounty hunters, and pirates. Zach Hilyer is in trouble. Taking a package from A to B always gets more complicated when A doesn’t want to lose it and C will pay and do anything to get their hands on it. Hil is good, one of the best field operatives in the guild. Problem is he can’t remember when it all went wrong. After crash landing on a planet with no memory of his last assignment, Hil discovers that his handler is dead and someone’s put a price on his head. Injured and alone, he has no choice but to go rogue from the guild, fight to clear his name, and wreak revenge on the people who set him up.